Rolex has been around for a long time. Most people are familiar with the name Rolex and know that it makes quality watches, but that is usually the extent of their knowledge. Since this company has been around for a long time, it has quite an interesting history. Here is some information you may have not known about Rolex. Rolex hand crafts every watch, except for when the machine does a better job than humans. When Rolex watches are manufactured, before they are distributed to authorized Rolex dealers, they go through rigorous testing for quality and accuracy. The Rolex company uses high quality metals that last a long time and are resistant to pitting and corrosion. That means they require more expensive, quality machinery to manufacture Rolex watches. That is one thing that makes Rolex stand apart from competition. Quality workmanship using expensive, high quality, precision equipment. That requires a large investment in new and upgraded equipment, which ends up making your New Rolex watch superior in all aspects to other manufacturers. Initially Rolex was started in London. Most people think because Rolex is a Swiss watch, it started in Switzerland, however, contrary to popular belief, it initially started in London. Initially, Rolex was not a watch manufacturing company. They rather assembled watches and sold them to jewelers, who sold them under their own brand. In 1908 Rolex started making their own brand. Rolex moved to Switzerland in 1919 due to better tax laws, making the company more profitable. According to Forbes Magazine, Paul Newman’s Rolex Daytone was sold at auction, breaking all records for watches sold at Phillips Auction on Oct. 26th, 2017. 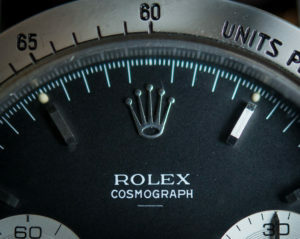 The previous record for a Rolex selling at auction was $ 5 million. The watch was a gift from his wife, Joann Woodward. Paul Newman is an incredibly popular actor, that has now passed away. People would love to own any memorabilia that was owned by him. The lucky winner of this watch gets to have a very nice Rolex that was owned by the famous actor. At San Diego Rolex Buyers we have a large selection of used Rolex watches. Whether you are looking for the best place to buy a used Rolex watch or the best place to sell a used Rolex in San Diego, you should check out our magnificent Rolex Showrooms in San Diego. With locations in La Jolla, Downtown San Diego, Chula Vista, we have a used Rolex dealer near you. 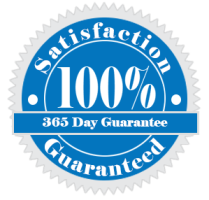 Call us today at (619)900-7266 or click here to contact us.